Today, we’ll be doing a new review. We’ll be taking a look at one of iRobot’s newest models, the e5. First, let’s take a look at the design. On top, we have the control interface and buttons, including the clean button to start and stop cleans, home button to send the Roomba back to base, and spot-clean button to start spot-clean sessions. 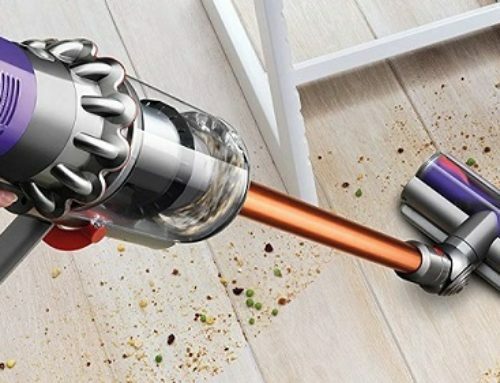 The bottom side of the vacuum features a spinning brush, three wheels, navigation sensors, two rubberized brush rolls, and a dustbin. Bear in mind, the e5 does not have the ability to recharge and resume. Therefore, once the vacuum returns to its charging base, it will remain there until activated by the user. The Roomba e5 robot has a diameter of 13.3 inches and a height of 3.6 inches. Additionally, the e5 weighs 7.2 pounds. The iRobot Roomba e5 comes with a couple of accessories, including a charging base and one virtual wall barrier. All our vacuum reviews are tested on three different floor types and against four different debris types. For each test, we measured the percentage of debris cleaned. Cleaning performance for the e5 on hardwood floors, low pile carpets, and high pile carpets was virtually flawless. 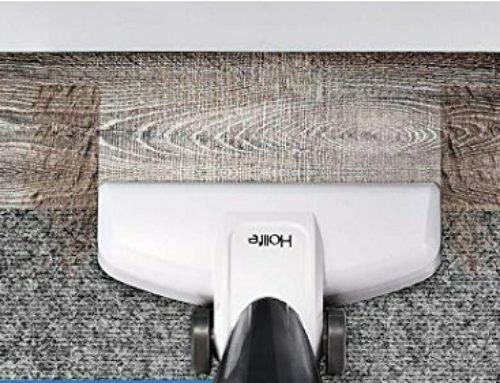 The Roomba e5 removed 100% of all debris on hardwoods, 99.75% of all debris on low pile carpets, and also removed 99.5% on high pile carpets. The e5’s cleaning performance is by far the best we have tested to date. The only other robot we tested with a similar level of performance was Roomba’s ultra-expensive i7 and i7+. Set up on the e5 is quite simple, simply plug in the base, put the Roomba on the base, give it some time to charge, and then press clean. Additionally, you can control the Roomba e5 with your smartphone. The setup does take 5 to 10 minutes but it’s fairly painless. Once setup, you’ll be able to start and stop the e5, create and modify cleaning schedules, view cleaning history, and find the Roomba if it gets lost. To empty the dustbin, you simply remove the dustbin from the e5, open the primary flap, and empty the debris into the trash. Additionally, the dustbin on the e5 is washable. However, you should remember to remove the filter prior to washing as the filter is not washable. The Roomba e5 does an excellent job of maneuvering around the home. It has a 90-minute runtime but it does not have the ability to recharge and resume. That said, for most homes, a 90-minute runtime is going to be sufficient to do most of the cleaning that you need. The size allows it to get into harder to reach spots, like under beds and around furniture. To maintain the e5, you’ll need to regularly replace the spinning brushes and filter. Beyond that, you will eventually need to replace the rubberized brush rolls, battery, and front wheel, but these parts will last longer. Regarding the battery, it has a capacity of 1800 milliamps and a runtime of 90-minutes. 1. You want top-notch cleaning performance. The Roomba e5 is among the best robot vacuums we have tested to date. The cleaning performance was nothing shy of impressive as it was able to lift and remove at least 99% of all debris from our testing line, bringing home a final cleaning score of 99.75%. 2. You don’t need all the bells and whistles. The e5 definitely has some neat features but it is not going to offer all of Roomba’s bleeding edge technology. The e5 doesn’t have an onboard camera, doesn’t have recharge and resume, and doesn’t have individual room mapping. However, you still do have smartphone control and schedule cleanings via the iRobot app. Although the e5 doesn’t have all of the features at the i7 and i7+ offer, it is about half the price of those models while still offering exceptionally good cleaning performance. 3. You’re not looking to break the bank. 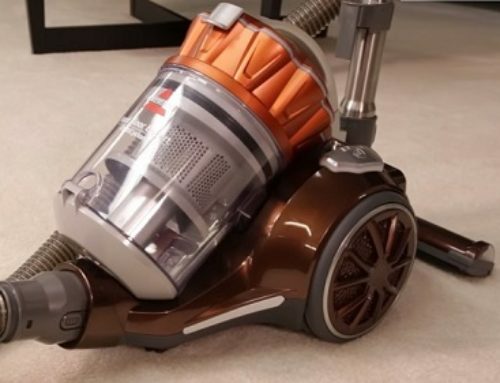 The e5 is not an inexpensive robot vacuum, but it’s certainly not as costly as Roomba’s i7, i7+, 980, or other top tier models. If you want one of the best value robot vacuums on the market, the Roomba e5 is well worth the money. You’ll save a few bucks and still receive top cleaning performance in the world of robot vacuums.